I wrote here about night weaning and finding trainers for Bunny to wear at night. Well, the 7th Generations disposable ones that we bought, were about to run out. I didn't really feel comfortable with buying more and thus creating more waste. Plus Bunny had started complaining that they were hurting her bottom. So I began my search yet again. Finally, I found the Flip Trainer! Flip is unlike any other trainer I have seen. It is basically just a shell, with liners (it comes with 3) that you replace when wet. $30 for the set was a great deal compared to the $90+ I was looking at spending on other systems. With Bunny only needing a trainer at night, I just toss the liner in the wet bag with Squirrely's diapers, wash out the shell in our bathroom sink, and hang it up to dry and be relined for the next night. I found that while one liner holds a ton of liquid, it was not quite enough for Bunny's large bladder (Really, I have never seen so much pee come out of a kid). An extra liner worked great, and I had some laying around, so I just used those. I could have bought 3 extra Flip liners for $17 (extra shells are $17 as well) if I had needed. Another BIG plus to the Flip Trainer is that it has such a large range of size. Going from 20lbs all the way up to 50lbs means that it will fit most potty learning children. Snap down or up depending on the rise your child needs. Snap smaller or bigger depending on their waste size as well. Also I love that the sides unsnap because there are times when Bunny is already in her jammies and I don't want to have to take her pants all the way off to put on her trainer. I asked Bunny if her new trainer hurt her bottom and she said, "No... It feel soft!" We bought the Lovelace print. It is so pretty. Perfect for a free spirit like Bunny. Bedtime has been going great. We started listening to Beatrix Potter books on CD. I feel like getting used to a book on CD, and having that as part of her bedtime rhythm, will help her to wean off nursing to sleep when the time comes for that. But for now we are both content in snuggling up and nursing for a few last minutes before the nursies, and Bunny, need their sleep. And Mama. Mama needs her sleep too. Goodnight! Oh goodness! Each week just gets better! We had so many GREAT links!! 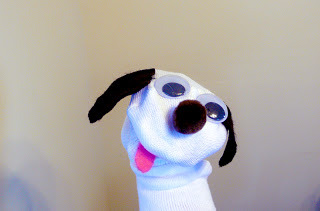 We read If You Give a Moose a Muffin a few weeks ago and ever since, I have been wanting to make Bunny some sock puppets. We Made That shows us how! Bunny's 3rd birthday is in just three weeks and now that we are eating no processed foods, no sugars, no wheat (and loving it) I have been on the lookout for a fun birthday cake idea! 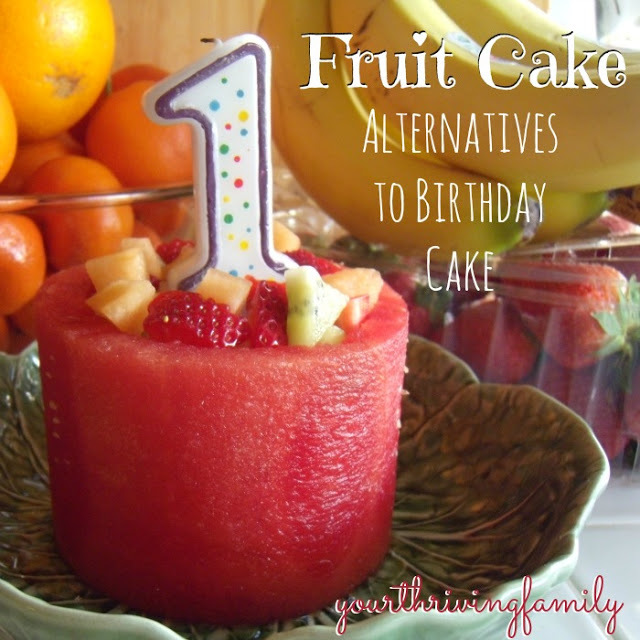 Your Thriving Family has a wonderful idea--a watermelon ad fruit cake!! My last feature is an amazing resource. Be sure to pined it, bookmark it, do whatever you need to do to save it for future ideas and help! Mama Rosemary has a complied a wealth of information on herns and children! 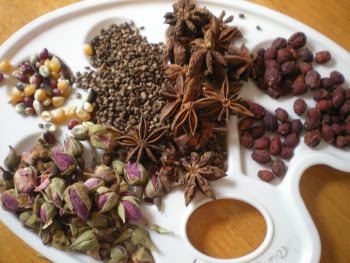 In her own words "Looking for fun ways to introduce children to the magical world of herbs? Want ideas for taking care of your little one with the help of herbs? This is a great place to find all the fun, inspiring activities and posts about herbs and kids." Yes, please and Thank you!! I wish I would have known about trainers like that when my children needed them. I found that juicing is a great way of getting my kids to get nutrients in their bodies. Especially my picky son, he loves helping making his own vegetable juice and it is easier to make him drink it than eating many veggies..
Wow those trainers look really good, we are potty training at the mo and need some sort of transition to 'big kid' pants so this could be the answer. thanks! Thanks for linking up and following! I am now following you as well! Gosh, I am so honored!! Thanks so much for sharing 'Herbs For Kids'! With my 3 year-old, I am doing diapers at night as the cloth were leaking way too much. I also use regular diapers at night with my 19 month old for the same reason, even though I use cloth as much as I can during the day. You are inspiring me to try again with night time cloth diapers. I love the cost of this cloth training diaper, so I just might give it a whirl. I also love the fruit cake you shared. How clever! Thanks for inviting me to link up! Glad to "find" your blog, I have a little one who is learning to go potty too. I've been looking at different ideas and these flip trainers look great!